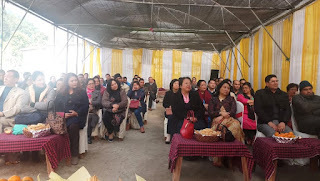 SINGTAM, DECEMBER 23: The Annual General Meeting of the Association for Heads of Government Secondary and Senior Secondary Schools of Sikkim (AHGSSS) was held on December 22nd at River View Resort near Jalipul. The meeting was presided by the President of the Association Mr..KB Chettri, Smt. Tshering Kee Chingappa, Joint Director, East was the Guest of Honour. The AGM was attended by 118 school Heads from across the state. The AGM started with the welcome speech by Mr. R.P.Khanal, Principal, Dikling SSS. The Association felicitated five of its former members for the valuable contribution to the Association during their tenure as members in the executive body of the association. Those felicitated on the occasion were Mrs.Tshering Kee Chingappa, Joint Director (East), who also was General Secretary of the Association from 2008 to 2016, Mr. P.L. Subba, Dy. Dir (West), Mr.B.K. Pandey (Retd. Dy. 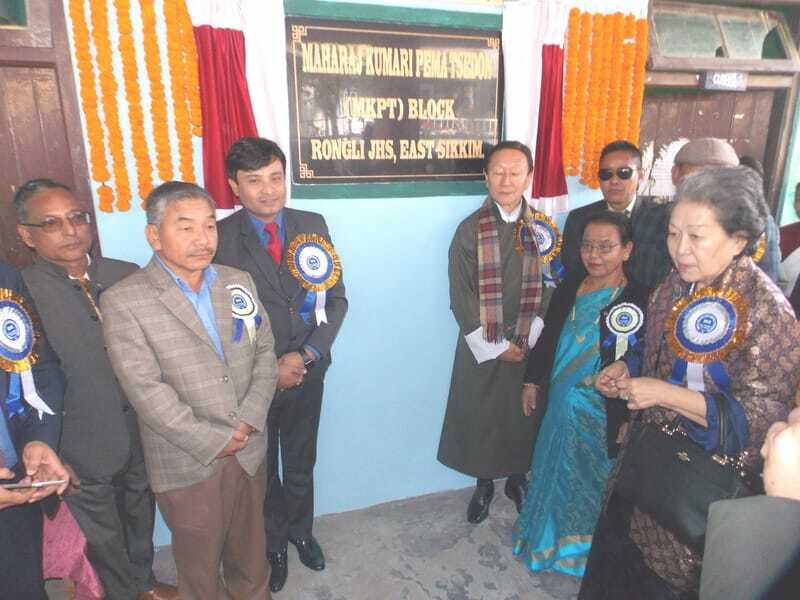 Dir), Mr. Kamal Sapkota (Retd. Headmaster). Mrs.Sunita Upreti (Retd.Headmistress). 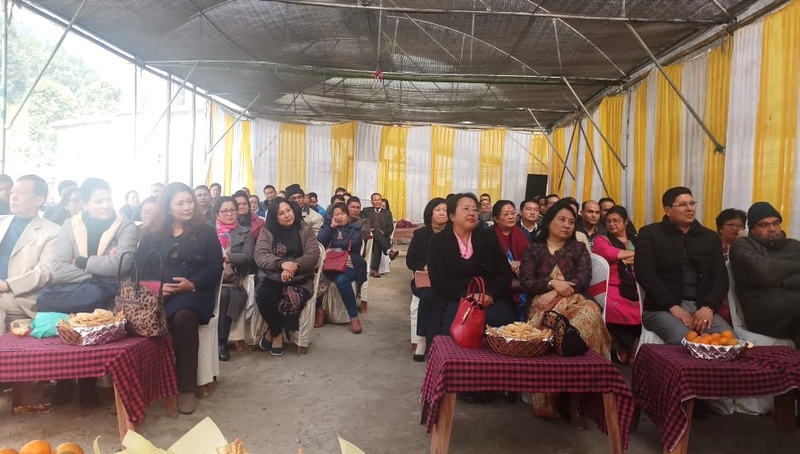 Mrs. Tshering Kee Chingappa in her address urged the members to cooperate each other to improve and grow together. She urged HOls to improve their knowledge and skills so that Society at large is benefited. Mr.K.B. Chettri, President of the Association, highlighted the contribution of senior members of the association. He requested all the members to do all possible to bring the state on the top in the field of Education. 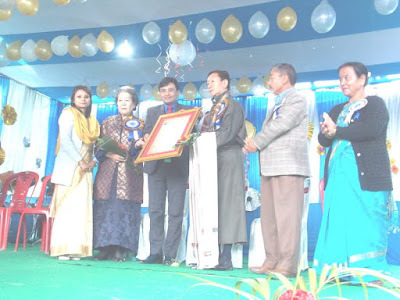 He also thanked Honourable Chief Minister of Sikkim for accepting the request of the Association regarding the Time bound promotion of School Heads which was placed before HCM on Teachers Day Function at Manan Bhawan on 5th September 2018. He informed the gathering that the file is under process and official notification to this effect will be out very soon. He also thanked the members for giving their presence in the meeting. The Treasurer of the Association, Mr. Telbu Gurung, Principal Sir TNSSS presented the Income Expenditure details of the Association. 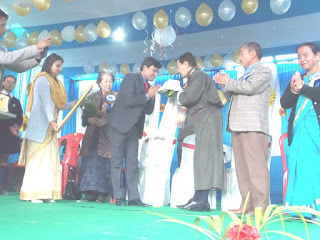 The vote of thanks was given by Mrs. Pema Yolmu, Principal, Namchi Girls SSS. When I first heard about Milind Kumar’s entry into Sikkim Cricket team for the Ranji Trophy 2018 from Roshan Prasad, my good old friend who is now assotiated with Sikkim Cricket Assotiation, I was wondering why did not the Sikkim Cricket Assotiation roped for a popular face that could had motivated the entire team. But his performance in just six games for Sikkim has forced me to reconsider my decisison about him. 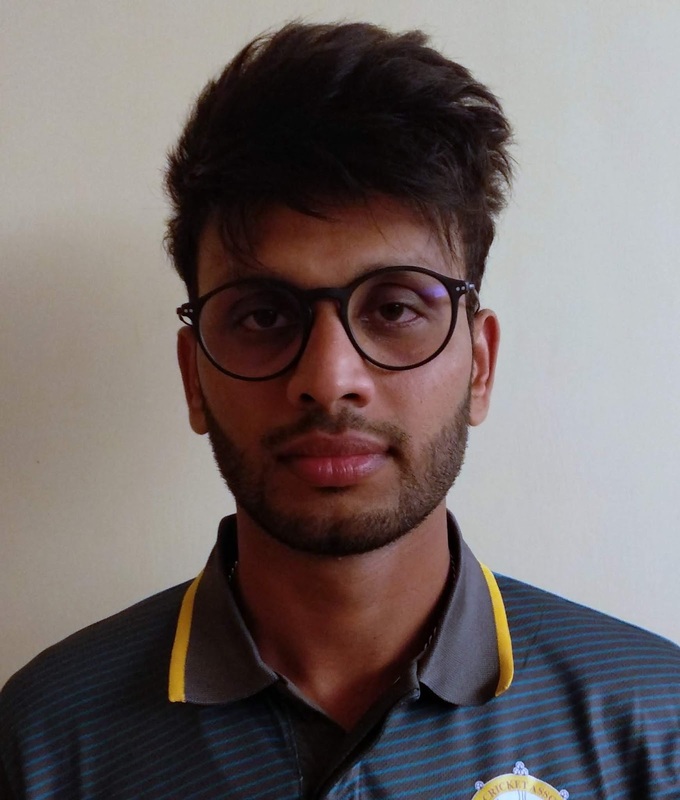 Milind Kumar, along with Bipul Sharma and Ishwar Chaudhary are the professional players drafted for Sikkim team after its dismal show at the Vijay Hazare Tournament 2018 where Sikkim lost its all eight matches. This year also marked Sikkim’s entry into List A cricket tournament in India. Sikkim is among nine new state team to participates at these tournaments. To add the dismay, Sikkim lost its first match at Vijay Hazare Tournament by 10 wickest against Manipur and the other match they himalayan team lost by 292 runs when they were bundled out for just 46 runs against Bihar. This proving to be the highest runs of defeat for any team at Indian Domestic Cricket. The trio of Milind Kumar, Bipul Sharma and Ishwar Chaudhary have brought new luck for the Sikkim cricket team and in six Ranji matches the new state team have won three of their six matches with the trio being the biggest factor. Lets list out the scores of Milind Kumar, 261 (against Manipur), 224 (against Nagaland), 133 & 61 (against Uttrakhand), 13 & 13 (against Bihar), 96 & 77* (against Pondichurry) and 139 (against Mizoram). The run-machine Milind Kumar had single handedly chased down every Sikkim’s win. Not to forget his 14 valuable wickets with best figure coming against Bihar, where he had 4 for 63. 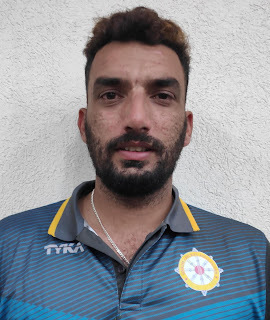 In this new season of Ranji Trophy, Milind Kumar becomes the first player to cross the magical four figure of 1000 runs in his nine innings. Kumar becomes the second quickest to reach the landmark after Rusi Modi who had scored 1944 in 7 innings. His total stats after six matches reads ; 1017 runs with an average of 113 with four century and three half century. Interestlingly he had scored 1017 runs from 1150 ball he had faced so far. Record seems to add, his 39 fours against Manipur and 31 fours against Nagaland is the most fours of the inning. Milind gaining first and second poition on the ocassion. He is the highest century maker (4) in this first six matches stats. His highest score is 261 in Sikkim’s Ranji Trophy debut match against Manipur. He is the only batsman so far to had 100 boundaries; 141 fours and 14 sixs. Isn’t that brillant !! If Sikkim is doing good at this initial stages, lets not forget the bowling figures of Ishwar Chaudhary, another professional player to watchout. 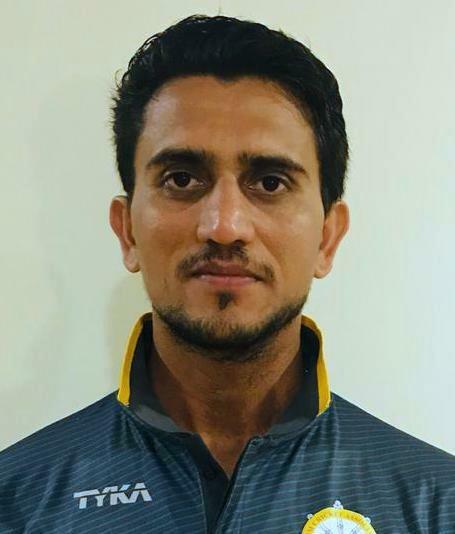 Chaudhary has a total of 40 wickets from six matches. Seven wickets against Manipur, 6 wickets against Nagaland, 4 wickets against Uttrakhand, 7 wickets against Bihar and 11 wickets against Pondicherry. His wicket standing from six matches is third, only Gurinnder Singh with 47 wickets from 7 matches and Dhapola with 42 wickets from 5 matches is ahead of him. He has five wicket haul in four instances. Chaudhary’s best figure is 6 for 78 against Bihar. Sharma also has three 50s with a total score of 391 for Sikkim. Bipul Sharma, the third of the outside player trio of Sikkim has bagged 23 valuable wickets with his best figure of 4 for 55 against Manipur. With a bat, he has three 50s to his name at this first six match stats. 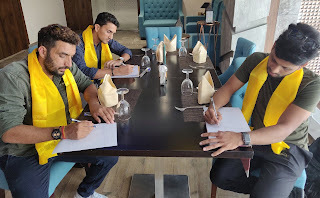 Sikkim has a busy season coming up and I am sure the trio’s record have a major influence over the young Sikkim Team. Best wishes guys !! 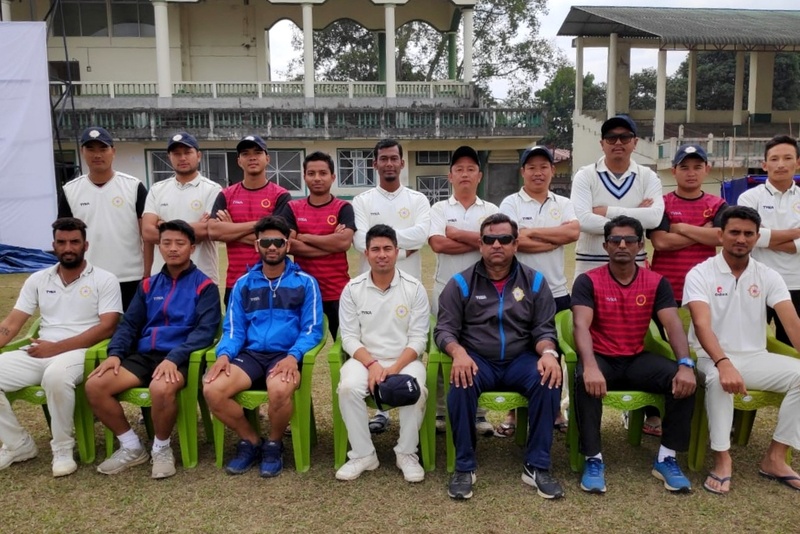 Sikkim won their Ranji Trophy match against Mizoram today at Jorhat DSA Stadium, Jorhat, Assam. With this win, Sikkim has won three matches so far in the tournament and leading the team in the third position in the point(s) table with 19 point(s). The match was started on 14th December where Mizoram won the toss and elected to field first. In the first innings, Sikkim scored 332 runs 89.5 overs. Milind Kumar top-scored for Sikkim with 139 runs, Bipul Sharma 50 runs, Ashish Thapa 42 runs and Jahan Uddin 35 runs, to the total. It was a decent total scored by Sikkim in the first innings. Not only the batsman but even the bowlers took the crucial role, they restricted the opponent for just 161 runs, in which Ishwar Chaudhary took 5 wickets, Bipul Sharma and Milind Kumar 2 wickets each and Dinesh Rai 1 wicket. In Second Innings Sikkim decided to take the lead and scored 170 runs which put the side on a lead of 341 runs. In which top scorer was Bipul Sharma with 65 runs, Ashish Thapa 45 runs and Nilesh Lamichaney 28 runs. Again in the Second Innings, Sikkim bowlers bowled brilliantly with Ishwar taking 6 wickets, Milind 2 wickets and Bipul 1 wicket. So far in the Ranji Trophy Season 2018-19, Sikkim’s Batsman Milind Kumar is on the top of the most runs table with 1017 runs and bowler Ishwar Chaudhary being in number two of the most wickets with 40 wickets taken. Singtam, December 21: Twenty four members of National Integrated Forum of Artist and Activists (NIFAA) Sikkim State left for Tripura Harmony 2018 event early this morning from NJP Railway Station. The theme of the event is Tribal State of India and organised by NIFAA Tripura State. 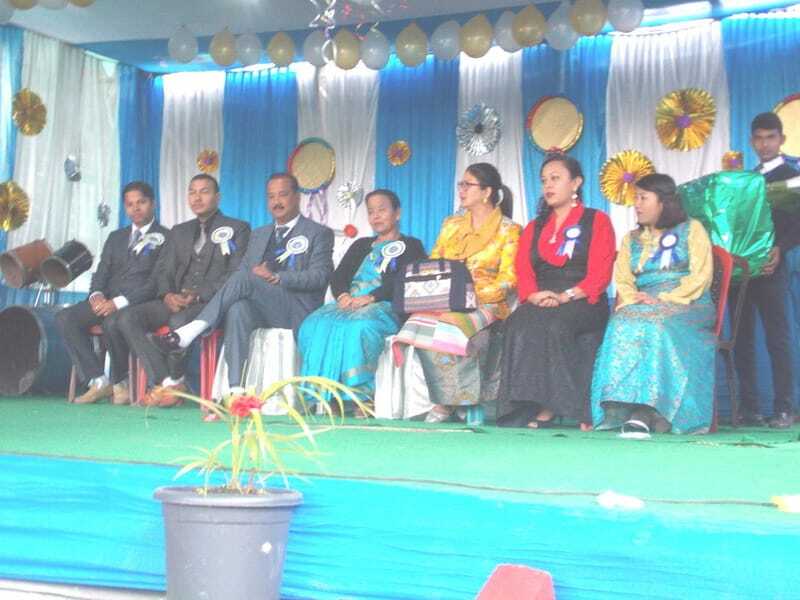 Sikkim Team was led by Praveen Pradhan, President, NIFAA Sikkim. The members of NIFAA shall be participating at the big cultural extravaganza that will feature cultural youth teams participation from more than twenty states and foreign countries too. 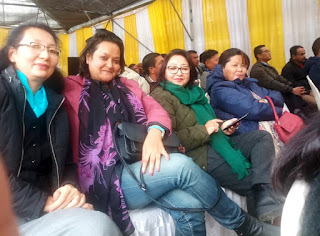 Pradhan had said this is the first event that NIFAA Sikkim State is participating. The Harmony 2018 will be held from 21 - 29, December, 2018 at Agartala, Tripura. The event will have cultural programmes. Sikkim cultural team shall have five colourful tribal dances along with exhibition of crafts and pickles, added Pradhan.